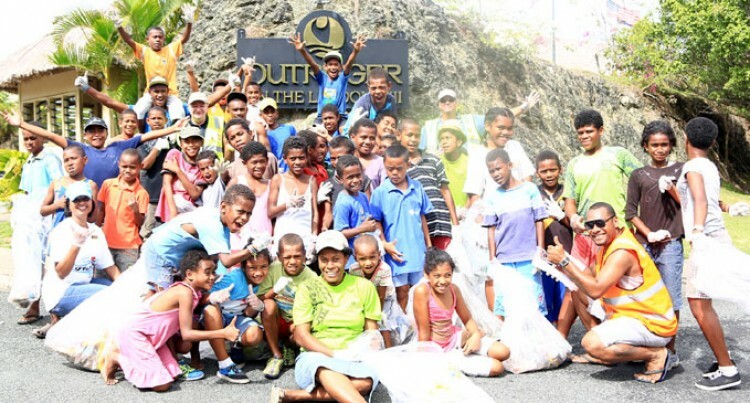 Staff and management, with their family members, of Outrigger on the Lagoon Fiji got together last weekend for a clean-up in preparation for the 2014 Bilibili Race. The much-awaited event scheduled for October 10 (this Friday) will involve 10 Hotel groups around the Western region. Outrigger’s regional general manager Peter Hopgood said the clean-up campaign had always been the tradition in preparation before the race. “This event has been a tradition for us and we have been doing this for the last ten years; we clean up from Malevu right to Korotogo, on roads and coastal areas,” he said. Mr Hopgood said the clean-up was also a good opportunity for team bonding. “The clean-up involving the staff and their children really brought about the hype of the tournament, especially for the participants,” he said. He said that the clean-up also highlighted the major concerns on the pollution caused by passing vehicles. “In total our kids were able to fill up 36 bag of rubbish and this is the main highway where people do not use a lot in terms of walking and it is sad that this rubbish is being thrown from vehicles,” Mr Hopgood said. The Bilibili Race, which takes place during Fiji Day includes competition from Fun Run Relay to Bilibili Boat Races.